The May 1916 Sykes-Picot Agreement between the governments of the United Kingdom and France, with the ascent of Russia divided the Arab provinces of the Ottoman Empire outside the Arabian Peninsula – essentially Iraq, Syria, Lebanon, Palestine and Jordan – into future British and French control or influence. 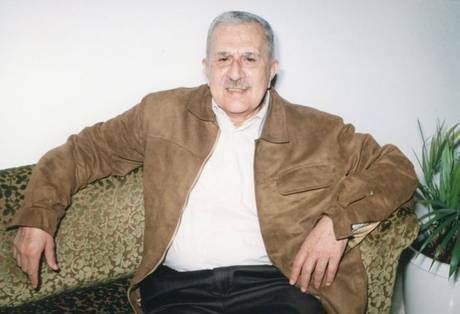 Kamal Salibi, an eminent Lebanese scholar, professor and prolific writer who passed away last September, was regarded as one of the foremost historians of the Middle East. He was a lifetime bachelor who devoted his life to books. His many works include A House of Many Mansions: The History of Lebanon Reconsidered (1988). In effect, he was forewarning of a risk we come up against today. The novelty is that Salibi’s metaphor is now apt to envelop the whole Arab Mashreq and may yet engulf other parts of the Arab Maghreb. Where Lebanon is concerned, its current grim political, economic and security realities surpass anything the brilliant Salibi could have imagined. Lebanon now is an archipelago of pseudo-islands akin to confessional and sectarian mini-states portioning out the small country’s territory and institutions. Each has carved up a de facto entity. The political, judicial and security decisions of the central “state” are subject to these entities’ whims. The “state” would withdraw or deploy the army at the request of this or that entity after tough negotiations with its opposite. Court rulings would be frozen, doctored or amended and the while judiciary paralyzed pending a “consensual” agreement within one sect or among several. The “state” does not have a single all-inclusive national institution anymore. Each executive political, economic or security apparatus of government has its counterpart. When an opposite number is not found, it is created. International highways in Lebanon are not always passable. They have fixed, at time movable, “border” crossings. The airport is always open for traffic but not so the airport road, which has its guards and controls. The highway to North Lebanon has its crossings. Pre-Tripoli is one thing, inside Tripoli is another and past Tripoli is a totally different ballgame. The highway to South Lebanon has a single crossing – in Sidon. A second is looming. The highway to the Bekaa has a multitude of crossings that open or close on demand. The army is not sent to secure them before acceding to demands that cancel its duty and role. Happenings outside the Lebanese “entity” – chiefly in Syria now, in Iraq before and maybe in Jordan later – evoke some memories of Sykes-Picot. Does the earthquake that ravaged Syria’s regime and opposition fall in Lebanon’s fault zone or herald a post-Saddam Iraq? Much as Iraq, which is no more “whole” after the evacuation of U.S. troops, it is unlikely Syria would emerge from its bloody predicament as a unified state entity after the breaking into pieces of the Syrian people’s unity. Iraq now is a hodgepodge of regions and entities. Its Kurds chose self-rule and distanced themselves from the intra-Arab Sunnite-Shiite faceoff. In Syria, the bloody and open-ended clash between the regime and its opponents has provoked calls – previously suppressed – for a sectarian redress. At the same time, Kurds and Turkmen are reminding of their ethnic rights. In Iraq, there are borders and armed protection of boundaries between ethnic minorities. The struggle in Syria could follow the same pattern. There are already signs showing in the north and perhaps the east. There’s “A House of Many Mansions” in each of the Sykes-Picot states!